If you are like me, you sometimes struggle with coming up with ideas. And once you have the ideas, you find it difficult to keep them organized. When I explained my conundrum to a friend, she suggested mind mapping. I am a visual person, so it made sense. But I didn’t quite understand how it worked or even how to get started. 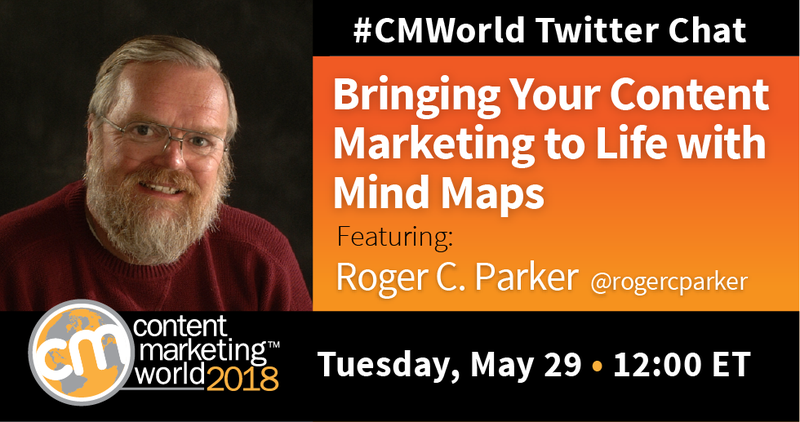 So, to break it all down, I invited Roger Parker to join a recent #CMWorld Twitter chat. Mind mapping seemed to hit its peak popularity a couple years ago. Why is this an organizational tactic we shouldn’t ignore? A1 #Mindmapping rewards expert users who say it saves them an average of 7 hours per week #CMWorld That’s like gaining a day off each week! What key details do you need before jumping into creating a mind map? This #CMWorld chat provided great discussion from our smart community. Want to see more tweets from the chat? Check out our Twitter Moment. And for more great ideas and ideas for advancing your content marketing, register for Content Marketing World, September 4-7 in Cleveland, Ohio. Sign up with code SM100 to save $100!